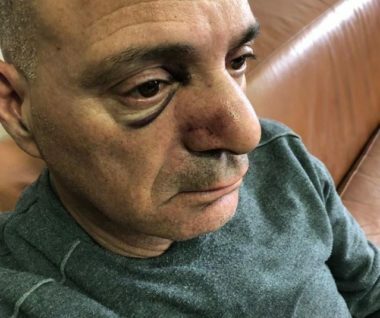 A group of illegal Israeli colonialist settlers attacked, on Friday evening, a Palestinian man from Beit Hanina neighborhood, north of occupied East Jerusalem. Media sources said the man, identified as Amin Natsha, was walking near his work in Sheikh Jarrah neighborhood, in the center of the occupied city. They added that the colonists assaulted the man, by kicking and punching him, causing various lacerations and bruises, before fleeing the scene. The wounded man was then rushed to a Palestinian hospital in Jerusalem. On Saturday, the Israeli army issued orders for the illegal confiscation of fifteen Dunams of Palestinian agricultural lands in Azzoun town, east of Qalqilia, in the northern part of the occupied West Bank.